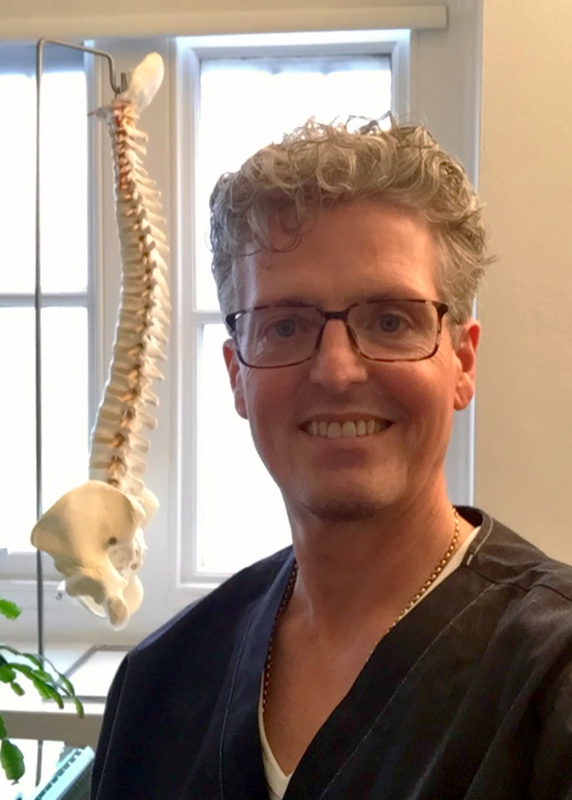 Over the past 30 years Patrick has trained extensively and has qualified in body-centred therapies.He uses what he has found to be the best within each of these to form his distinctive approach to healing. He works firstly by examining body structure and function then, as appropriate to each individual, uses a variety of specialist techniques in order to remedy muscular/skeletal inhibitors which may have been caused by bad posture, bad movement, injury, or even (for example) a hip or knee replacement.The techniques he employs include deep-tissue fascial* manipulation, activation of acupressure points in order to re-balance structure in movement (as outlined in Touch-for-Health kinesiology), and craniosacral adjustment to achieve more natural posture and ambulation as well as general wellbeing. Where necessary, Patrick can also assess individuals for food intolerance and certain mineral and vitamin deficiencies in order to assist their biochemical balance. A Master Practitioner in NLP, Patrick may use such techniques in his balancing work if appropriate.We all demonstrate our inner attitudes, negative and positive, in the way we talk and in our unconscious bodily responses to questions posed.These can be expertly interpreted and methods used to gently replace negatives with positives, leading to a happier, more confident inner self and so a more successful life. Patrick is also a Registered Craniosacral Therapist. Dr. Anna and Patrick work individually as well as together to optimise your inner state as well as facilitating an outer balanced posture. Using body optimisation and emotional therapy techniques, Inner and Outer Smile seek to meet the individual wherever they are and take them to their best version of themselves.